Today I’m inviting you to join me in exploring what I consider to be the next phase of functional medicine. A phase focused on better patient outcomes…cost-effective functional medicine…and explosive practice growth. These ideas are the driving force behind my successful Walnut Creek, California, clinic. They’ve helped me successfully treat thousands of patients in the last few years. And they are the reason why my clinic has a waiting list. But while a thriving practice is great, this isn’t just about growing a successful clinic. It’s about serving and healing more patients. Patients who desperately need your help, but often can’t afford it. It’s about making functional medicine a real force for good. Not just an ‘alternative’ option for those with huge bank balances. If you’ve been working in functional medicine for a while, you know exactly what I’m talking about. Functional medicine has become far too elaborate and expensive. Testing…supplements…and special diets can run into the thousands. And while patients — who are desperate to get better — will find a way to pay these fees, they are not happy about it. In fact, they often suspect a cheaper, more effective option is available. That is why hundreds of disgruntled patients now seek me out. And they will seek you out too, if you’re willing to make a shift. For the last several years, I’ve been practicing a more practical and cost-effective model of functional medicine. 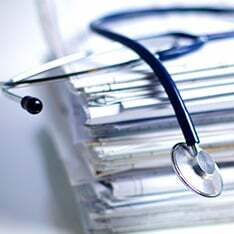 A type of FM that focuses on clinically relevant testing and dispenses with confusing protocols. I realized that more treatment and more testing does not equal better results. In fact, the opposite is often true. By trying to do too much, you can cripple yourself with information overload. When you focus on core fundamentals, you are able to be more effective because you are less distracted. For example: cholesterol levels…blood sugar…inflammatory markers…food allergies…and antibodies have all been shown to improve after treating gut infections and dysbiosis. So, if you succeed in treating GI infections and dysbiosis, food reactions and food allergy testing are no longer needed. And of course, let’s not forget digestive symptoms like gas, bloating, constipation, diarrhea, loose stools, reflux and heartburn. Any of these symptoms are absolute confirmation that a problem in the gut is present. Don’t get me wrong. Can treating the gut heal everything under the sun? Treating the gut FIRST will take care of many of the symptoms I listed above and completely eradicate the need for expensive, irrelevant testing. In a sense, it should be every FM practitioner’s ‘first stop’. Treat the gut and you will — at the very least — clear the way for effective, relevant testing. And in many cases, you’ll solve your client’s issue altogether. Less extensive testing (you save your patients time). Cost-effective treatment (you save your patients money). The ability to treat more patients who need your help. I’m now convinced that this is the way forward for functional medicine. And in fact, I’ve completely turned away from my old methods of exhaustive testing and complex, expensive protocols. Understanding what types of test are clinically relevant and necessary…and ignoring everything else. While I’ve been striving to make my testing and treatments simpler…the ‘gurus’ have become more complex. Have you ever worried that if you can’t help a patient, it will damage your reputation? That, eventually, your practice will spiral into an unsuccessful, unprofitable mess? Honestly, I felt like this early in my career. Overcoming this fearful mindset was one of the most liberating feelings of my professional life. So I can say from experience: this type of fear is a huge roadblock to a clinician’s progress. It’s also more common than you might think. You fall into a pattern where you’re always searching for the next magic protocol provided by a ‘guru’. If one protocol or one guru’s advice doesn’t work, you bounce to the next and the next, forever looking for that silver bullet that will make you a superstar clinician and vanquish all your practice fears. In fact, I’d say almost ALL up-and-coming clinicians suffer from this subtle fear. And the result is almost always the same. This doesn’t help you at all. It shuts off your ability to think, reflect, and learn from your patients. Now, you might not be bouncing from guru to guru, but there is no shame if you have been. As I said, I too was stuck in this cycle at one point in my career. But please hear me when I say this: liberating yourself from a reliance on products and magic protocols will be one of the best things you ever do for your professional career. And of course, it’s relatively simple to do so. With the right approach, you can understand and master fundamental principles rather than waste time chasing the next magic bullet. And when a desperately sick patient turns up at your clinic…you’ll have the knowledge to treat them with confidence. Those two pillars — practical functional medicine, and a liberation from gurus and magic bullets — are the foundation of the new publication I mentioned earlier. I call it the Future of Functional Medicine Review Clinical Newsletter. Its name reflects its focus on this new phase of functional medicine — simplified testing, cost-effective treatment, and the practice growth that comes as a result. And its goal is to equip practitioners, like you, with the knowledge and skills you need to run a truly successful and effective practice. Many of my readers and patients are surprised to discover I was not always the energetic, positive person they know today. In my early 20s — while I was still slogging away at med school — I slowly became very, very sick. As my health deteriorated, I spent thousands of dollars…saw countless experts…and, eventually, questioned my sanity while looking for a cure. Most frustrating of all, I even had my family doctor, an intern and an endocrinologist tell me there was NOTHING wrong with me. It wasn’t until I spent my last $300 on a consult with a FM doctor that I was diagnosed with intestinal inflammation. It was from this point on that my healing finally began. I was so moved by this experience that I decided to shift the focus of my studies entirely. Of course, I still finished my degree, holistic studies, and had my exercise qualifications in my back pocket. But in my heart, from that moment on, I was dedicated to functional medicine. And in the last few years, I have helped hundreds of patients recover from similarly devastating symptoms using what I’ve learned. In fact, some of their symptoms and stories are so similar to mine that it is, quite frankly, frustrating. Functional medicine is STILL not reaching the people that need it most. And medical professionals are STILL engaging in needlessly complex testing. But rather than complain about it, I’m going to do something. I’m launching my Future of Functional Medicine Review Clinical Newsletter. It’s my hope that it will equip functional medicine practitioners with the fundamental information they need to be a truly effective clinician. The first section of your monthly Review includes a detailed case-study demonstrating what cost-effective functional medicine looks like, in practice. The goal is to give you an ‘insider view’ of my own clinic — what kind of tests I run…how I interpret them…how I reduce costs…and how you can apply the same techniques and principles in your own practice. You’ll even discover how I communicate and frame delicate issues with my patients. Plus, we’ll spend some time discussing how you can use a negative reaction from a patient in order to grow as a clinician (rather than feel confused or unsure). And my own personal comments on each particular case. This is the kind of information I would have killed for when I started experimenting with a simpler model in Walnut Creek. I believe these case studies will shave months, if not years, off your transition to a more effective type of functional medicine. In short, I’m including these case studies because I believe they are the simplest way to help you treat more patients, more efficiently. Over the last three years, I’ve spent hundreds of hours reading the most recent and important scientific extracts. I was digging for gold…looking to find the strand that would connect a patient’s unusual symptoms with a new protocol…or for an insight that would provide a cheaper solution to problems I was confronted with on a daily basis at my clinic. I took up this EXTREMELY time-consuming task because I believed it was absolutely necessary to ensure I was giving my patients the best care. Most scientific abstracts are simply not worth the paper they’re printed on. Or actually marketing in disguise! That is, marketing parading as science in order to inflate the ego of a guru. Despite all this, I STILL found the occasional gem amongst the muck… A new finding or study that had profound implications on my clinical practice. I consider it completely worth it to struggle through hours of nonsense to unearth these rare treasures. I realize not everyone has the luxury, or the inclination, to read through hundreds of pages of dense scientific text each month. But I also realize you’d probably love to get access to the most powerful and relevant core ideas…the stuff that can actually improve your practice and have a huge impact on your clinic. So, in the second section of my monthly review, I’m going to do something unprecedented. I’m going to open up my personal notes and share everything I unearth during these hours of study and research. When you subscribe to the Review today, you’ll get summaries of the latest and most clinically relevant ideas — sent to you every month. This is practical stuff you can read today and start using tomorrow. In 10 minutes of reading, you’ll have covered hours of the newest material. And the next time you’re faced with a challenging set of symptoms, you’ll be as prepared as any medical practitioner in the country to help your patient. In the third section of the Review, I’ll tackle your most difficult and important questions. Each issue of the Future of Functional Medicine Review Clinical Newsletter will include a comments section where you can submit your most burning questions. In the following issue, I’ll answer your questions, drawing on my years of clinical experience, along with my latest research. I do promise to use all my resources to tackle the most important and pressing questions each and every month. I can’t promise I’ll answer every single question submitted. However, I do promise to use all my resources to tackle the most important and pressing questions each and every month. You’ll get answers that not only benefit the individual practitioner, but also add to the ‘canon’ of functional medicine and help the community as a whole. This is a great question to ask. Technically, we don’t know because there is so little available research on SIFO. But I take some time to explain my take on it, and how I’d approach a similar situation, including simple ideas on stool culture, Rifaximin, empirical monitoring and more. The final section of the report will cover additional information you can use to run a successful functional medicine clinic. It could be an announcement of a new test, an in-depth product review, an office tool that could save you hours every day, or an upcoming seminar where you can connect with other practitioners. This will be practical stuff you can use to make your life easier, and your practice thrive. 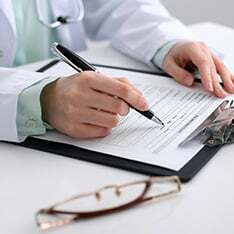 For example, in the first edition of the Review, I share an easy service that allows you to create HIPAA-compliant online forms for your patients. That might not seem like the most exciting thing in the world but, for any serious practitioner, it’s a real timesaver! That’s the Review. Four sections. And dozens of practical ideas you can use every month to grow your clinic. Your subscription will be delivered once a month as a digital file. You’ll be able to download it and read it at your leisure. And if you ever need to refer to the contents again, or check a particular study or protocol, it will be there when you need it. You may even want to print it out and share it with colleagues. That’s fine too. If you’d like to arrange your subscription now, just click the button below. “Studying the cases you’ve presented has accelerated my clinical knowledge in natural and functional medicine.” — Joe Mather M.D. Now, if you’re reading this letter, there’s a good chance you’ve read some of my leading work on the gut and microbiota before. Or you may have seen me lecture at UC Berkeley, Sean Croxton’s Digestion Sessions, or the annual SIBO Symposium. But I also realize this may be the first time you’ve ever visited my website or read my work. You may not know me at all! If that’s the case, I’d invite you to scroll down and read what some of my functional medicine colleagues have said about me. This way, you’ll get a better idea of the content and quality of the Future of Functional Medicine Review Clinical Newsletter before you subscribe. As I said before, my goal for the Future of Functional Medicine Review Clinical Newsletter is to give you the skills and practical tools you need to grow a successful clinic. A clinic that can have a real impact on the lives of your patients and help bring functional medicine the widespread attention it deserves. I want as many practitioners as possible to get access to these important ideas, and I’ve priced the review very modestly as a result. Most professional certifications and seminars can cost anywhere from a few hundred to several thousand dollars. That seems a fair price to pay to get access to new ideas, testing procedures, and techniques that can drastically improve your patients’ lives, if not outright save them. However, I haven’t priced the Review anywhere near those prices. For full access to the Future of Functional Medicine Review Clinical Newsletter, you’ll only pay $29 per month, or $25 a month paid quarterly ($75 total). Click the button below now to select the subscription that is best for you (you’ll be able to review your order in detail on the next page). I know that a Future of Functional Medicine Review Clinical Newsletter subscription will be a great asset to your practice. The knowledge and ideas you’ll discover will pay for themselves many times over as your clinic grows. OR you become convinced that this publication cannot help you run a more effective, more commercially successful clinic, send an email to FMReview@drruscio.com and one of my customer service staff will refund your entire subscription fee. This is a ‘no questions asked’ guarantee. Just email, and you’ll get your refund. Easy. Furthermore, your subscription is not ‘locked in’ and you can cancel anytime you no longer find it useful. I believe this is the strongest guarantee I can offer. But I’m confident you’ll find your monthly subscription so valuable that you’ll never have to take it up. Functional medicine practice is not an easy path. Being trusted with the wellbeing of a patient is one of the most rewarding AND potentially devastating challenges you’ll ever take on. There’s the soaring highs of helping a client back to full health…and the gut-wrenching lows of losing a patient, or simply being unable to ease their pain. Added to that, in many ways we’re still on the frontier of this type of medicine. There is still so much to uncover about the gut, microbiota, and how to run a clinic that is compassionate, effective and commercially successful. I know it’s impossible to know it all…to heal every patient…to know every answer…but I’m determined to do my best. The Future of Functional Medicine Review Clinical Newsletter is my next logical step as a practitioner, educator and healer. And if you’d like to join me in exploring it, I’d love to have you along. “I encourage you, as a fellow busy clinician, to waste no time in joining this community and growing your capacity to help your patients heal.” — Rob Abbott M.D. PS: One more thing… I’m going to be completely forthright in my monthly mailbag. I’ll take on your toughest questions, and give you my best answers on trends in functional medicine, SIBO, the newest cutting-edge protocols, running a successful clinic, dealing with challenging patients, how to grow a three-month clinic waiting list, and more… I anticipate this will be one of the most useful and popular parts of the Review. And of course, it comes at no extra cost to you, as it is included in your subscription to the Future of Functional Medicine Review Clinical Newsletter.